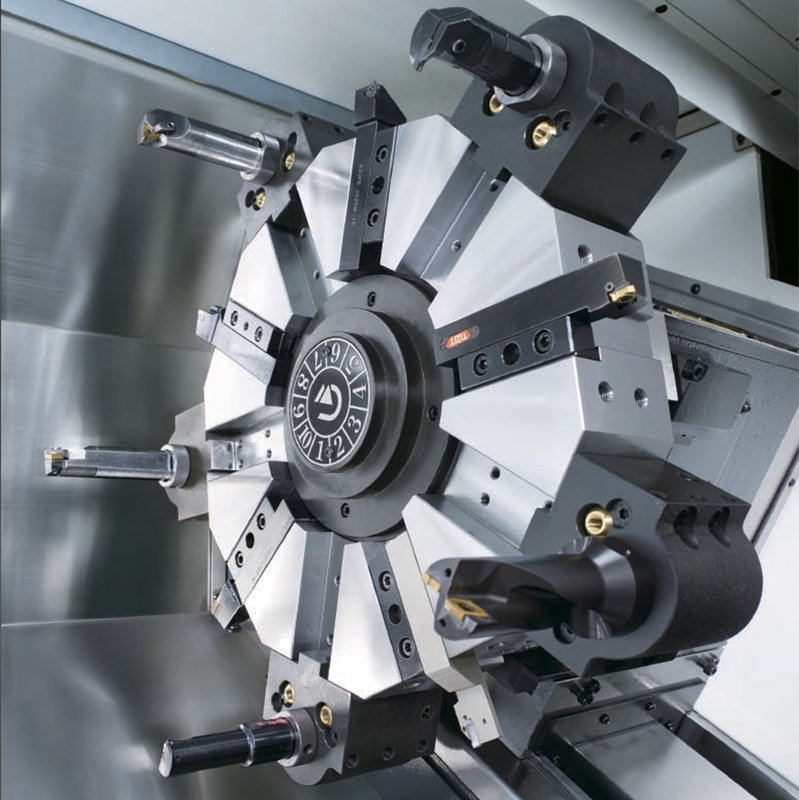 The turning centres of the Goodway GA series combine powerful high torque motors and large diameter servo indexing turrets to create the ultimate machining power. The low centre of gravity heavy duty bed and 30° slant wedge saddle design provide a super rigid foundation for the headstock, turret and tailstock. 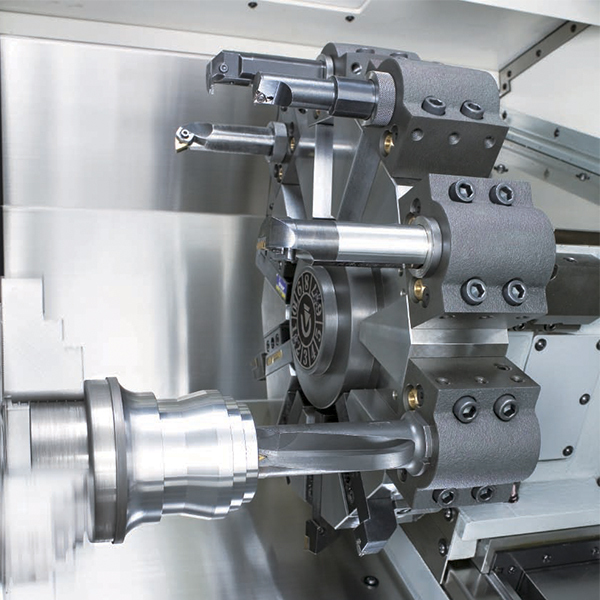 Creating the rigidity needed to perform super heavy duty turning and maintaining long term high precision accuracy. 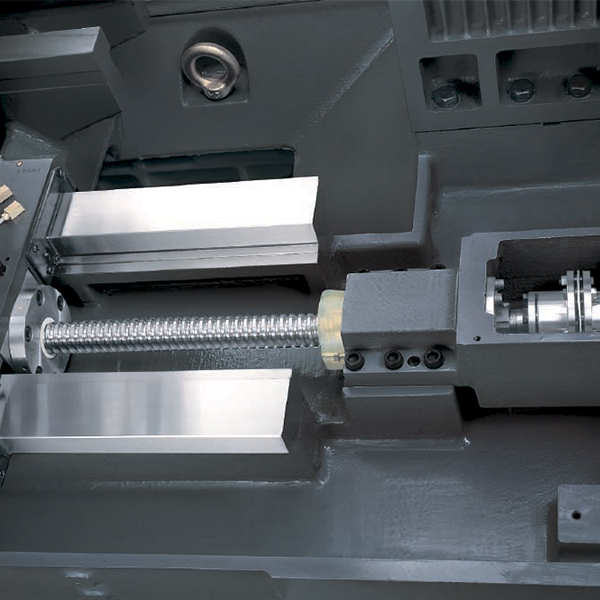 Increased rigidity bring extended tool life. Built to withstand rigorous high production turning, the heavily ribbed, one piece thermally balanced bed and casting components are of 'Meehanite' casting. By using FEM (finite element methods) analysis, optimal reinforced ribbings are directly cast into the one piece structure. Increasing mechanical rigidity by more than 30% when compared to conventional designs. The super heavy duty servo indexing turret achieves 0.2 second indexing times for adjacent stations and 0.5 second for stations at the oposite end of the disk. Index movements are single step, without pauses, no matter how many stations are skipped. 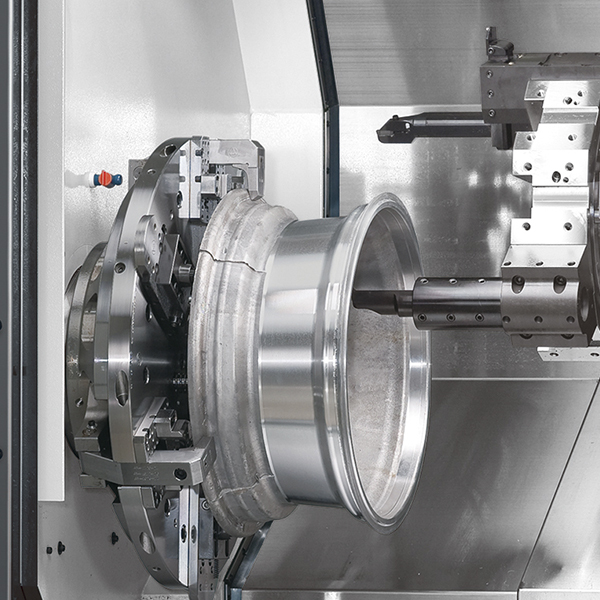 Super high precision curvic couplings accurately position the turret disk and extreme clamping forces ensure abundant turret rigidity for all cutting conditions. 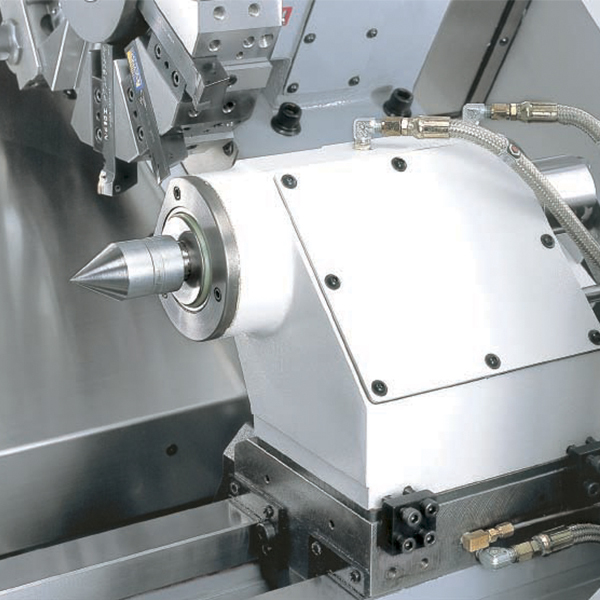 Numerous turret configurations are available to ensure all demanding machining applications can be met. The heavy duty headstock is constructed of one piece casting reinforced with heat dispensing fins. P4 grade (class 7) super high precision bearings are directly assembled for maximum level of support and precision. Bearing configuration is designed for super heavy duty cutting with ultra smooth performance and long term durability with a higher level of accuracy.